Lots going on and as always and no shortage of pictures of EMS staff at golf and GAA events! Take a look at some of our most recent pictures. 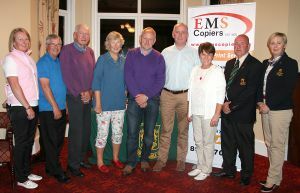 Great to be involved and sponsors of the recent Vice Captains Prize Team Fund Raiser at Hollystown Golf Club recently. Pat Cleary and Chris Barton, EMS Copiers pictured below with William Hutchinson. 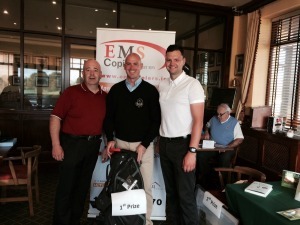 EMS Copiers were delighted to sponsor the recent Prize evening event at Thurles Golf Club. 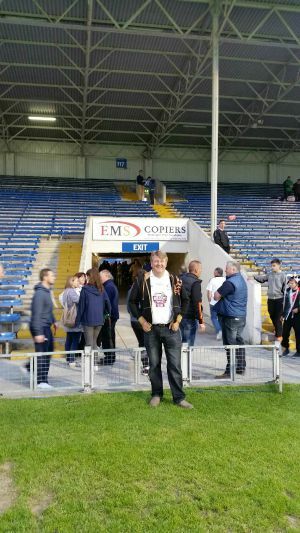 Pictured below representing EMS Copiers, Seamus McGrath with Captain Denis Cleary and Lady Captain Ann Slattery.